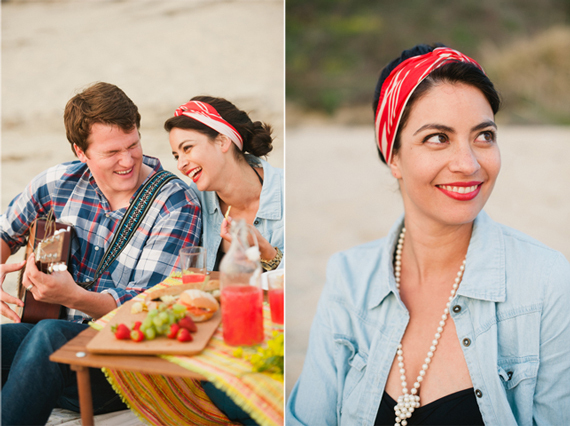 If you are wondering how to have the perfect summer afternoon- play hookey, put on bright red lipstick, adorn pearls and take your lunch to the closest beach. This simple celebration from my good friend’s Candace and Vitaliy at Pictilio will instantly transport you back to that wonderfully free, out of school for the summer, time in life. Ahhhh, I want to be there now! 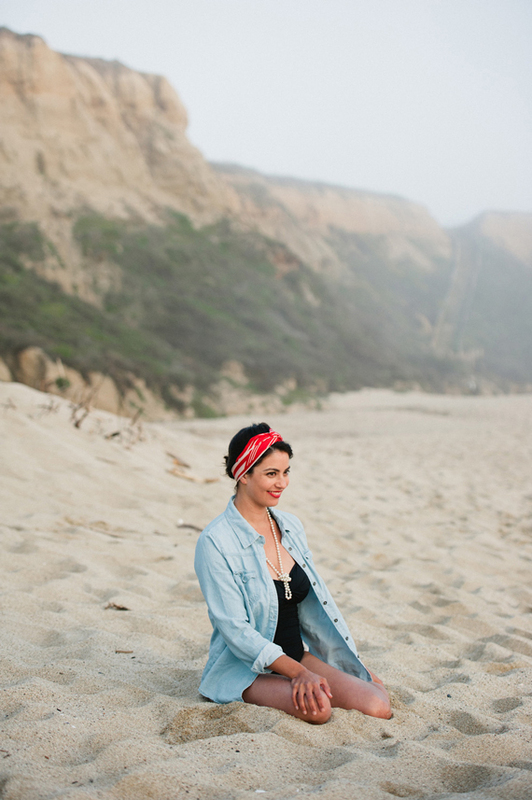 In Northern California, good beach weather can be infrequent due to the fog. When it finally does arrive, we need to act fast. To save time on prepping a whole meal, we picked up a few artisan sandwiches and chips at La Boulange before hitting the road. 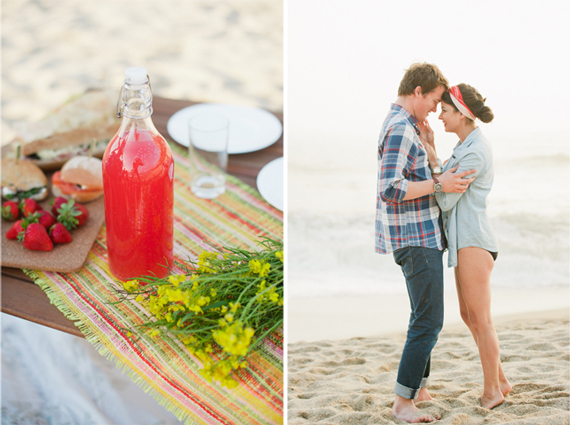 We wanted to create a date that was more than just a blanket on the sand. 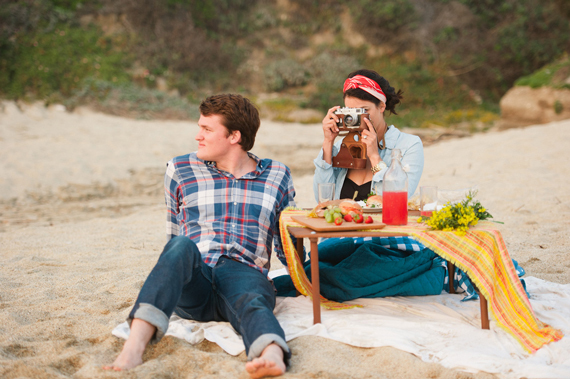 This roll-up picnic table has become our favorite beach accessory. It’s compact, easy to carry and assemble, and gives any beach spread an upgrade. A table runner from Rufflewood ties everything together for us and kept things bright and sunny even when the fog began to roll in at sunset. No date is complete without a few activities to participate in, besides kissing, of course;). 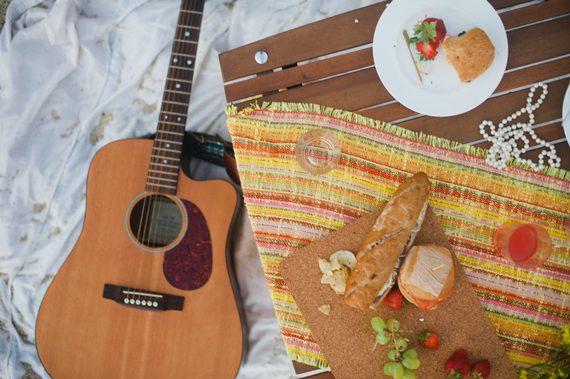 A beach ball keeps things playful and when you want to up the romance, a guitar for serenading will do the trick. Both add the perfect touch of laughter and love, key ingredients for any summer celebration no matter how small. Styling and photography by Pictilio for a subtle revelry. PS. See Pictilio’s gorgeous Pinterest board for this shoot. I wish I lived near a beach so I could enjoy such a lovely day outside like this one. 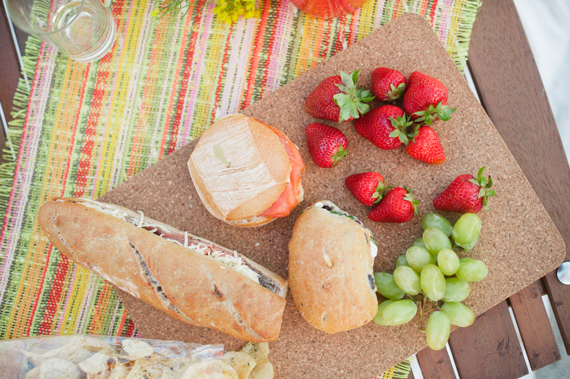 Great blog and thank you for including our Roll Up Picnic Table. We’ve pinned one of your photos and shared it with our Twitter followers. Thanks again!